A new car warranty can provide you with all the support you need in case something unexpected goes wrong with your new car, however you will only be covered if you haven?t in some way contributed to the problem yourself, in which case your warranty will be considered void. The following is a look at some of the things you need to do to ensure your new car warranty remains intact, and that it is there to protect you should you ever need it. If you need to have any repairs done on your new car, in order to maintain your warranty it is usually required that you use only qulaity, because otherwise all bets are off as far as the dealership and your warranty is concerned. This is because your car was built to work with certain types of parts, and by using anything else can increase the chances of something going wrong. For the sake of your car and your warranty, only use quality parts designed to suit your vehicle – Lube Mobile only use quality parts. A good car can last you a really long time, but only if you give it a little positive attention. The way you treat your vehicle will likely affect its performance, and definitely its life span, so unless you can afford to buy vehicles every other year, you are best to take care of it. The following tips will help make sure that your vehicle is alive and kicking for as long as possible. 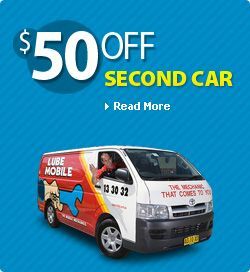 Every six months, or roughly 10,000 km, you should take your car in for a general servicing by your local mechanic. Even if it seems like everything is fine, it is good to have a professional do a quick once over. This is a good opportunity to top up any fluids or change any oils, and this kind of regular check will allow you to spot any potential problem as soon as it appears. As a new summer rolls around and your thoughts turn to leisurely country drives and visits to the beach, you should first spare a thought for your vehicle and make sure your next car service is planned before you start your summer motoring holidays. When you break out of the shackles of a cold winter, it is very tempting to jump into your car to enjoy a summer holiday. But it is a good idea to adopt a safety first approach and make sure your car is ready and properly prepared for the journey. That means taking a few moments to consider the best ways you can prepare your car for summer. Here are a few tips to help you. Imagine getting into your car every day knowing that you are in for a safe trouble-free journey. This might sound like a pipedream to some motorists but for those motor vehicle owners who take care of their cars by having a regular car service, this is exactly the type of peace of mind they enjoy. Naturally, no one can plan for unforeseen incidents on the road especially accidents caused by other drivers. But with regular maintenance your car can be not just a safe mode of transport but an enjoyable one as well. When you think about it, you have made a large investment in your vehicle, so why not make the most of it by keeping it well maintained and getting the best out of your investment. A good car maintenance schedule does not simply mean taking it to your mechanic on a regular basis. There are plenty of things you can do in between services that can add life to your car and keep it in top operating condition. What Do I Do If My Car Is Leaking Fluid? Having your car maintained through a regular visit to your motor mechanic is the best way to ensure your vehicle is in good operational condition at all times. Sometimes however, things happen to your vehicle and you might find yourself in a position of having to make a decision as to whether your vehicle is safe to drive. One of the most common things you may be confronted with is a fluid leak. This can be an unnerving experience and if there is a lot of fluid, it may make your blood run cold! But it may not be as serious as you think and as long as you take a coolheaded approach it could be possible to have a solution in no time. The importance of taking early action cannot be stressed enough however and you should consult an auto mechanic as soon as possible if you are in any doubt. With these thoughts in mind let’s take a look at some of the possibilities when you discover leaking fluid under your car Let’s start by trying to colour code the problems. The next time you take your vehicle in for an auto service you might consider asking your mechanic to have a look at your seat belts. Most regular servicing will concentrate on the engine and mechanical operation of your vehicle but it’s important to occasionally check on the safety equipment too. Airbags are a vital part of your safety equipment but the seat belts are probably the most commonly used piece of equipment in your vehicle. For this reason they deserve some special attention and it is worthwhile making sure you have them checked at least once every six months. It’s a frightening statistic when you realise that nearly 65% of people who are killed in auto accidents are not wearing their seat belts. Of those who were killed, the most common age group is the 16 to 25-year-olds and experts have noted that this same age group is usually associated with the most drink-driving offences which occur in the nation. In fact, similar statistics apply in most countries around the world. © Copyright 2008 - 2019 Lube Mobile. All Rights Reserved.